Trivia: Gunasekhar received National Best Children's Film Director award for this movie. All characters in this film played by child artistes. Cast: Anushka Shetty, Nagarjuna Akkineni, Bhumika Chawla, Cochin Haneefa, M.S.Narayana, Waheeda, Eva Ellis, Aditi Chengappa, Vijay Samrat, Haripriya. Trivia: Down Town Films is the home banner of Bhumika. Synopsis: Thakita Thakita movie is about 8 college going youngsters aspiring to build their careers - Nandini, Kishore, Mahesh, Scud, Bhakti, Jessica, Chandana and Sridhar. Nandini and Kishore fell in love, but Nandini’s parents are against their love, while Scud and Kishore don not talk to each other since 5 years. Jessica is a foreign student interested in fashion and Sridhar loves Chandana, but never express. These youngsters face several hurdles in the process of fostering their career. And the plot unveils when how they try and resolve them. Trivia: The Motion Control Camera is used for first time in Tollywood by Senthil Kumar, the cinematographer. Trivia: Balloon Bulb Lighiting is introduced to Tollywood from this movie. Trivia: Super 45 Camera was used for first time in Tollywood for this movie. Synopsis: Ashok (NTR) is a bike mechanic who stays away from his family as he nurses a strained relation with his father. He falls in love with Anjali (Sameera Reddy). KK (Sonu Sood) is a big gangster who sets his eyes on Anjali. Ashok wins Anjali through love and KK wants to force her into a marriage. The rest of the story is all about how Ashok eliminates the baddies. Trivia: Aryaki Arts is the home production company of Chandrasekhar Yeleti and 'Prayanam' is the first movie on this banner. Synopsis: Dhruv (Manoj Manchu) is on a world tour along with his friends and he is about to go to Singapore from Malaysia. Harika (Harika aka Payal Ghosh) is a Telugu girl doing masters in Malaysia and she is going to India to have a look at a prospective groom. Dhruv falls in love at first sight with Harika when he sees her in airport. But he has only two hours to make her fall in love with him. The rest of the story is all about how he succeeds in it. Trivia: Krishna Vamsi has directed one song for this movie. Trivia: K Films is home production house of director Kodandarami Reddy and 'Godava' is the first movie on this banner. Vaibahv's original name is Sumanth. This is his debut movie. He is son of Kodandarami Reddy. Trivia: This was debut movie for writer Pratyagatma as a director. This was received President's silver medal. LV Prasad remade it in Hindi as 'Hum Rahi' with Rajendra Kumar and Jamuna. Trivia: This was debut movie for Palagumma Padma Raju as a director, and Srirangam Gopala Ratnam as a play-back singer. 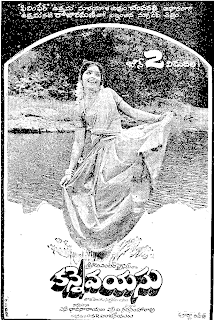 Gopala Ratnam was a singer at Vijayawada Radio. Trivia: Viswamitra Creations is SS Rajamouli's home production house and this is first film made on this banner. The Yamalokam set, which is used for this film, is the biggest set in the country. Synopsis: Amar (Ajay) is a clever thief. Vasu (Giridhar), a friend of Amar, always suggests him against doing such things. One fine day, Amar gets a raw deal from one Benarjee (Kota) in which Amar can make 1 crore. Amar is paid 1 Lakh in advance by Benarjee. Amar jumps on the project. Benarjee escorts Amar to Nandanavanam estates 120 KM from Hyderabad. Once they reach the estates, Amar finds that his look like Sandeep lives there. Amar gets the task to sign some contracts as Sandeep in favor of Benarjee and Benarjee gains about 5 crores because of that. Divya (Manasa) is the lover of Sandeep. Trivia: This is debut movie for Manjula as a producer and a female lead. This film shot in 35mm format. For this movie, Neelakanta received best screenplay writer award in the national film awards. Synopsis: Ridhima (Manjula Swaroop) - an executive from Delhi-based pharmaceutical company visits a remote village in AP to make a deal on patents with a professor who invented a new drug. The professor leaves a note that he would return late as he had to attend some urgent work and she shall wait for his arrival. At that time Madhav Rao, a junior lawyer who supervises the event of patent selling arrives at that place. Trivia: This is debut movie for Chandra Sekhar Yeleti as a director and first movie for Ganga Raju as a producer. This is debut movie for Sashank and Sindhu Tolani. Synopsis: Irfan Khan is a major mafia guy in Mumbai with Andhra background. He is on the most wanted list of Police with prize money of 50 lakhs put on his head. He is in desperate need of going out of India to settle in Dubai and remote control his operations in Mumbai. He designs a plan of hijacking a plane that starts from Hyderabad and take it to Khatmandu. Trivia: Kavya won the National Film Award for Best Child Artist for her character in the film. This is debut movie for Gunnam Ganga Raju as a director. Synopsis: It is the story of two naughty kids who are orphaned in an accident and are forced to live with their new guardian, the strict disciplinarian and army man - their grandfather. They have never seen him before due to differences between their parents and the grandpa. They get to have a first hand experience of the reason for these differences. Trivia: This is debut film for Charmi as a lead actress and first film for Bheemaneni as a producer. Trivia: All the main leads in this movie are the newcomers except Tamanna. Synopsis: Roopa (Kamalinee Mukherjee) loses her parents and other family members in a gruesome car accident. She starts living on her own as an independent woman without taking any help from her relatives. She has a boy friend named Rahul (Anuj) and is about to get married to that Marvadi guy, but backs out due to the behavior of her future mother-in-law and due to lack of confidence shown by her boyfriend. Banner: Sri Karthikeya Entertainments Pvt. Ltd.
Trivia: This is first movie for Krishna Vamsi as a producer. 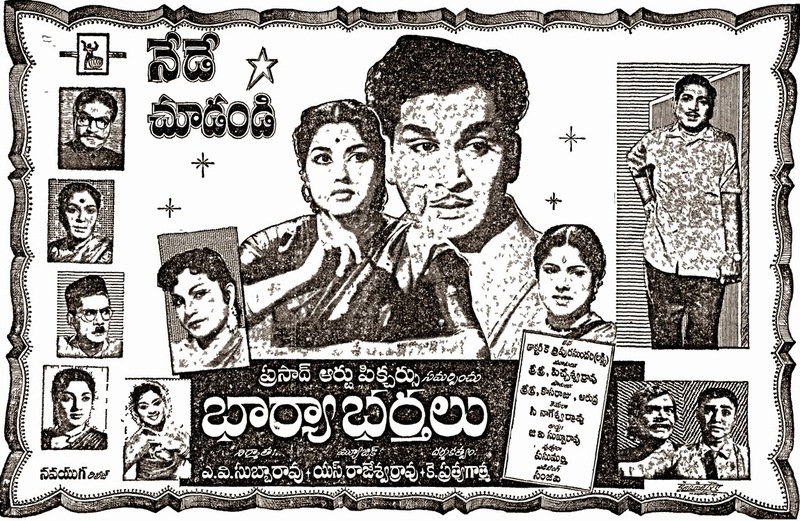 Trivia: Veteran lyricist Sirivennela Seetarama Shastry's younger son Raja has made debut as lead hero with this movie. Synopsis: Reddy (Jayaprakash Reddy) is a powerful mafia leader whose right hand is Devudu aka Devadaya Sharma (Gopichand). Devudu has a lover called Malli (Raasi). Reddy - who also like Malli - takes her to the bed, which is not liked by Devudu. In the process, Devudu kills Reddy and he becomes the leader of the mafia gang. Trivia: This is debut movie for Teja as a producer. This debut movie for the lead pair Nitin and Sada. This is first movie of Gopichand in a negative role. Trivia: This is debut movie for lead actors Ram and Ileana. Prakash Raj given his voice over after the titles. YVS Chowdary started the shooting of the film on 14th December 2004 and completed on 14th September 2005. The total number of working days for this film is 190 where as he shot it for 40 days in USA. Synopsis: Ravi (Ravi Teja) is a struggling assistant director who works for a mediocre director ‘Idly’ Viswanath (modeled after self-deprecating ‘Puri’ Jagannadh). Ravi lives with his mother (Rama Prabha) who is suffering from cancer. Sandhya (Siya) is a struggling side dancer who aspires to become a heroine. She is harassed by her brother-in-law (Krishna Bhagawan) who acts more like a broker. Yaadu (Supreet) is a goon who harasses Sandhya. The rest of the story is all about how Ravi and Sandhya realize their dreams. Synopsis: The movie starts with Sravani (Tanu Rai) and Subramanyam (Ravi Teja), strangers to each other, meeting at suicide point of Vizag seashore. They realize that their goal is same. Suicide, that is! They describe each other about their reasons to end their lives and duly write suicide notes. Trivia: N. Jagannath, the director, worked in the direction department of RS Prakash, earlier. Trivia: This is last film for Roja Ramani as an actress. Trivia: Though, the movie 'Pranam Khareedu' released earlier, this is Chiranjeevi's first film to face the camera. This is 100th film for Roja Ramani. Lyrics: Samudrala Raghavacharya, Dasarathi, Kosaraju, Arudra, Palagummi Padmaraju, Samudrala Jr.
Trivia: This is debut film for Roja Ramani as a child artist. She received best child actress award from the state govt. from the hands of Kasu Brahmananda Reddy, the chief minister of that time. This film got Best Regional Film award from the Central Govt.